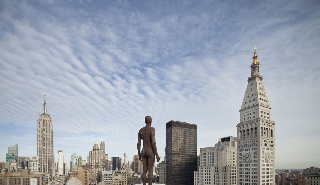 I've had more mail, this time letting me know that Sir Antony Gormley's body is all over the world! 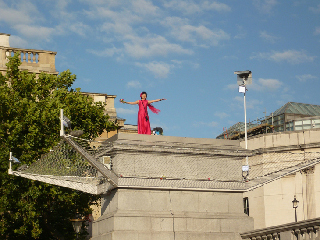 If you are new to my blog you might like to read about Gormley’s works Angel of the North and his Another Place. 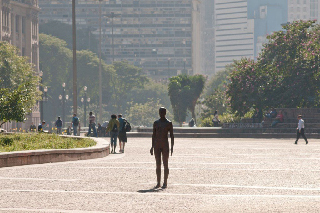 And here is another Gormley body, this one is in São Paulo, Brazil. 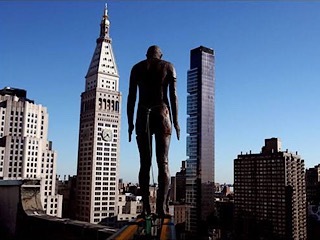 Tomorrow we are going back to looking at one more of the tallest statues in the world. At No.129 on the list The Kelpies (found at The Helix, Falkirk, Scotland) are 30 metres or 90 feet high and make it as 129 on the list of the tallest statues. Like me you are probably imagining statues of giant Australian sheepdogs and wondering what they are doing in Scotland. You will have to wait until tomorrow to find out as The Kelpies are going to introduce our new theme: Water. I just know supporter Vincent (with a bucket load of Scottish DNA) has a smile indicating full knowledge of what or who The Kelpies are representing.